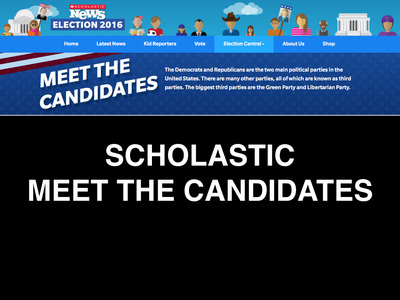 Click on the icons below to learn more about the candidates. 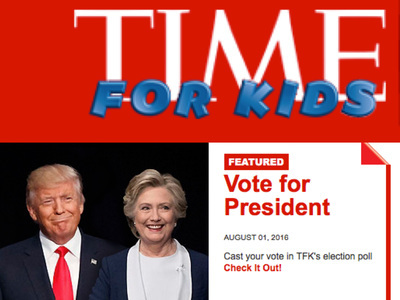 DO NOT CLICK ON THE EVERY KID VOTES ICON BELOW THE SECOND SET OF DIRECTIONS! 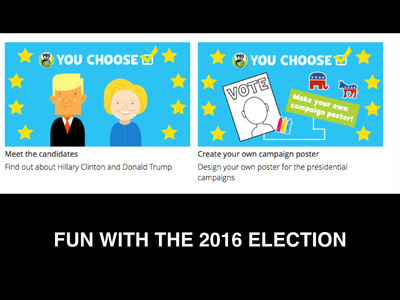 Today, November 1, you will vote in the official kids' 2016 Presidential Election. 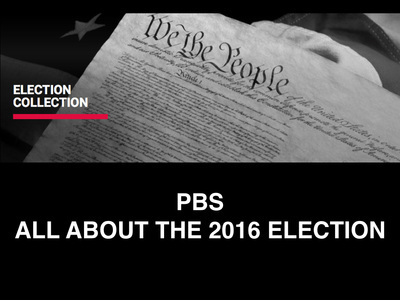 When you are told to do so, click on the icon below to go to the voting site. You will type the code in the code box that is on the slip of paper you received in class. Once you put in the code, you may vote. Please raise your hand if you need help.